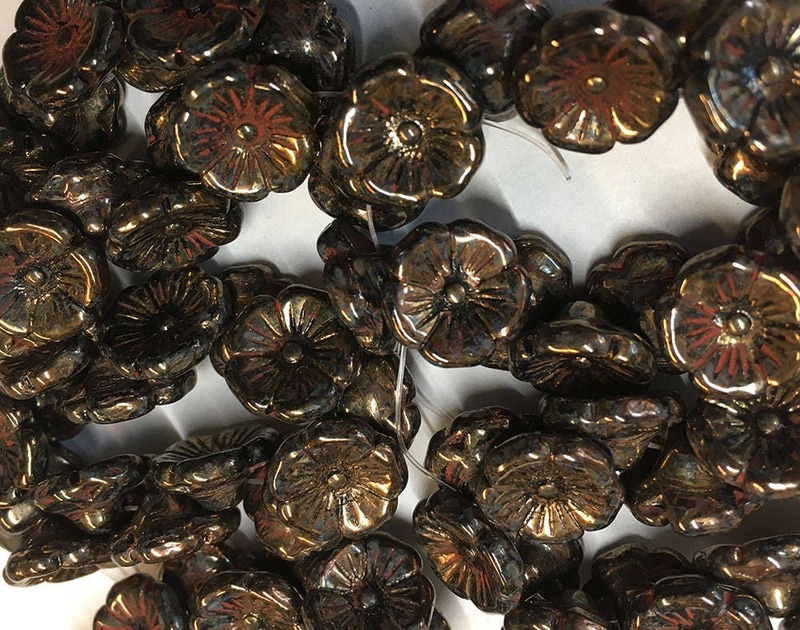 Black Bronze Czech glass button beads with a hole or shank on the back. Use with bead weaving as the button for your finished work or as a special touch to a hand sewn garment or bag. Size is 12mm. You will receive a strand of 15 button beads. The item arrived on time and the buttons are gorgeous! I can't wait to sew them on my cardigan.